CheltenhamMaman HQ has been lucky enough to nab a quick coffee with Flora Mountford, Cheltenham Mum to Ruby and Stan and owner of extremely cool online lifestyle boutique Violet and Percy. CMHQ: Hi Flora. It’s a pleasure to meet you! We’re pretty sure that a lot of our Mamans are big fans of your site. First off, what’s the typical morning routine of a busy Cotswold entrepreneur? Flora: It’s a pretty universal one I’m sure – the usual rush to get the kids off to school, walk the dog, hoover, shove a load of washing in and then crack on with my shop orders. A couple of mornings a week I try and get to an exercise class – I’m loving kettle bells at the moment – and I’ve just started doing yoga on an iPhone app which is great to squeeze in if I’ve got a busy day ahead. CMHQ: How long ago did you start the site? Was it something you always wanted to do? Flora: It all started when Stan started secondary school nearly three years ago and I felt I had longer days and fewer commitments – I really wanted to do something for myself. I thought about it for a while but the time had never seemed right so I started off really small – my step-grandma left me £500 in her will and that’s what I used to set it all up. I’ve been pretty stubborn really and have done it all myself – even teaching myself coding so that I could design the new website. CMHQ: How did you choose the name, Violet and Percy? Flora: It’s a bit of a funny one and Psychologists may raise an eyebrow but they are the names I would have chosen if I’d had more children. Stan was going to be Violet! CMHQ: What’s a typical day like at Violet and Percy headquarters? Flora: I have a studio at the bottom of our garden so I print off all the day’s orders, make a strong coffee, put Radio 6 on and get stuck in. I love it down there – it’s my own little sanctuary! I try to limit my post office runs to three times a week so some days I’ll be photographing products for my Instagram feed, paying invoices or ordering new stock. No day is ever the same and because I’m a one girl band, I never really have a day off unless I’m really strict with myself. CMHQ: How do you go about choosing your stock? Flora: I have a really simple ethos and that is I only stock things that I love and would have in my own home. It’s impossible to second guess our customers’ tastes so you just have to hope that they will buy into your shop theme or brand. I love minimalist, scandi-inspired products but then I’m also a sucker for bright, fun designs too. CMHQ: You’ve recently launched a really fun interactive page on your website, The Violet and Percy Book Club. Loads of our Mamans love a good chill in the bath with a glass of wine and a good book – what’s it all about? Flora: A while ago I started an Instagram book club which was a success so this has now been moved onto the website. I choose a new book every six weeks and once that time is up we get together to discuss it. It’s been a really good way to make me put my phone down and get back into reading and I hope I’m encouraging others to do the same. CMHQ: How can our Mamans get involved? Flora: Our current book is While My Eyes Were Closed by Linda Green which we will be discussing on July 17th. 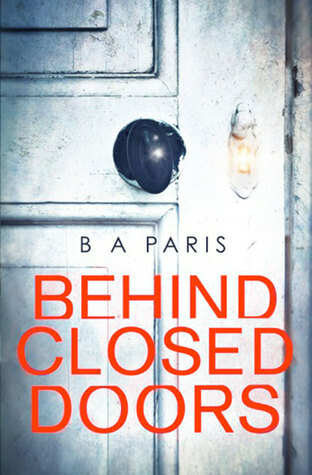 After that we will be reading Behind Closed Doors by B A Paris – a brilliantly tense page-turner. All you have to do is buy the book, read it and get involved. The more the merrier. CMHQ: Finally, what’s your favourite product you’re stocking at the moment? Flora: Our lined straw bags are perfect for summer – for picnics and trips to the beach. I use one at home for storage too as they look so stylish. Your readers can get 15% off the whole store if they order by September 1st with the code MAMAN. CMHQ: Thanks Flora – I’m off to the library, via your website where I may just take you up on that generous offer. Flora Mountford owns the Cheltenham based online lifestlye store Violet and Percy. She also writes her own blog and posts regularly to her Instagram account.